Bloomington kids typically don’t become world-class surfers or professional skateboarders, even if Jay North’s athletic ability and mental makeup suggested he might easily have become a board-sport king. North and southern California would have been a great fit. 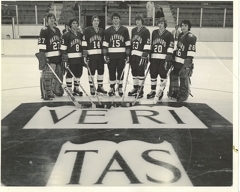 Hockey was the sport of choice in North’s neighborhood. 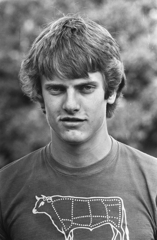 A top scorer rising through the youth levels, North rocketed his way to statewide acclaim as a senior in 1980. Bloomington Jefferson’s 10-year-old program never had reached the state tournament, and the Jaguars found themselves holding a two-goal lead over Rochester Mayo late in the second period of the Section 1 championship game. The lead was hardly secure. The Jaguars, while playing shorthanded, took a second penalty. “We are at the (Metropolitan Sports Center in Bloomington) and it is totally sold out,” Saterdalen said. “We were up 3-1, and just like that Jay North is out on the penalty kill and he trips a guy. Saterdalen said North won the face-off in the Jefferson defensive zone and pushed the puck forward. North, with a sliver of open ice in front of him, wasn’t interested in making the conventional play by dumping the puck deep into the Mayo end. “Now there are about 50 seconds left, and he goes end-to-end, splits their D and scores. Remember, they are on a 5-on-3. Wow. The Jaguars beat the Spartans 5-2 and entered the state tournament with a 20-1-2 record. “Everybody was so amazed and thrilled at the experience, we didn’t know what to do with ourselves,” North said. “I remember just the whole buzz of the state tournament, the reporters in the locker room before the game. Stage fright was a non-issue for North at the state tournament. North always seemed to play his best when the Jaguars played the toughest teams on their schedule. 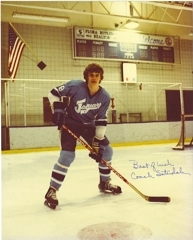 Burnsville and Edina, in particular, had a tough time corralling the lanky North, who was easily one of the state’s fastest skaters and craftiest stickhandlers. 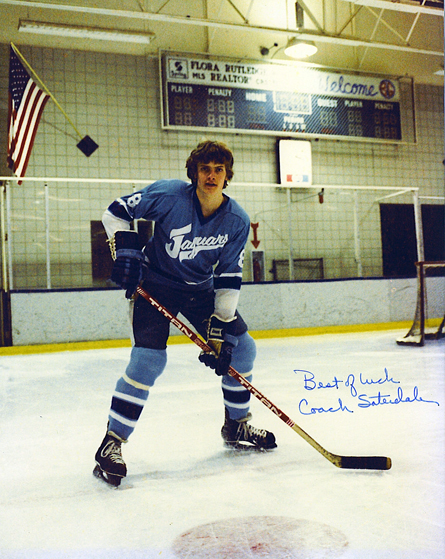 Bloomington Jefferson opened the 1980 state tournament against Irondale. North scored twice in the opening 10 minutes and completed the hat trick in the third period as the Jaguars won 5-2. Eventual champion Grand Rapids beat Jefferson 3-1 in the semifinals. North had a goal and two assists as the Jaguars beat Minneapolis Southwest to take third place. “We had been playing Rapids all through the ranks, since Squirts and Pee Wees,” North said. “We knew that was going to be an unbelievably tough game. I just remember their goaltending was outstanding. Grand Rapids goaltender Jon Casey, a future NHLer, made 22 saves against Jefferson and 31 more in the title-game win over Hill-Murray. North, an Associated Press first-team all-state selection being heavily recruited by Division I programs, choose to play at Harvard. It was a fitting choice for North, a top-10 student in his class of about 600. “I’ve had teachers tell me that he was the smartest kid they ever had,” Saterdalen said. The NHL lowered its draft age in 1980, allowing teams to select 18-year-olds for the first time. North holds the distinction of being the first high school player drafted. He was chosen 62nd overall by the Scotty Bowman and the Buffalo Sabres. 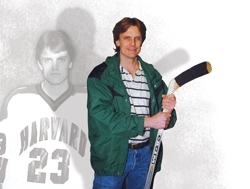 Injuries limited North’s playing time and effectiveness at Harvard, and he never reached the NHL. North is single and lives in Canyon Lake, Texas, where he works as a curriculum editor and program coordinator for a Houston-based Reasoning Mind, a nonprofit education technology company. 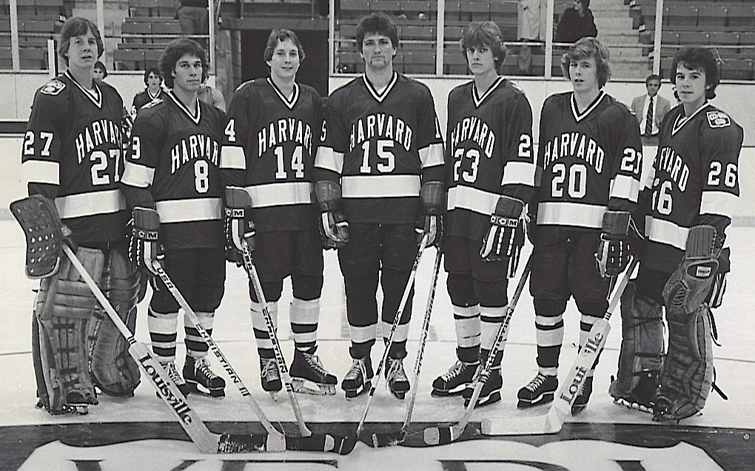 Harvard's Minnesotans in the early '80s: From left, St. Paul Johnson's Wade Lau, Minnetonka's Greg Olson, Chisholm's Phil Falcone, International Falls' Neil Sheehy, Bloomington Jefferson's Jay North, Blake's Derek Malmquist and Mounds View's Giff Duffy.